Here's a new card that I did last night using one of my favorite maggie stamps. Snoowy iis just too cute and seems to be one of my go to stamps when making christmas cards. I love this card! So snowy and sweet. I adore the blue/red color combination, too. Oh my! He's just too cute. 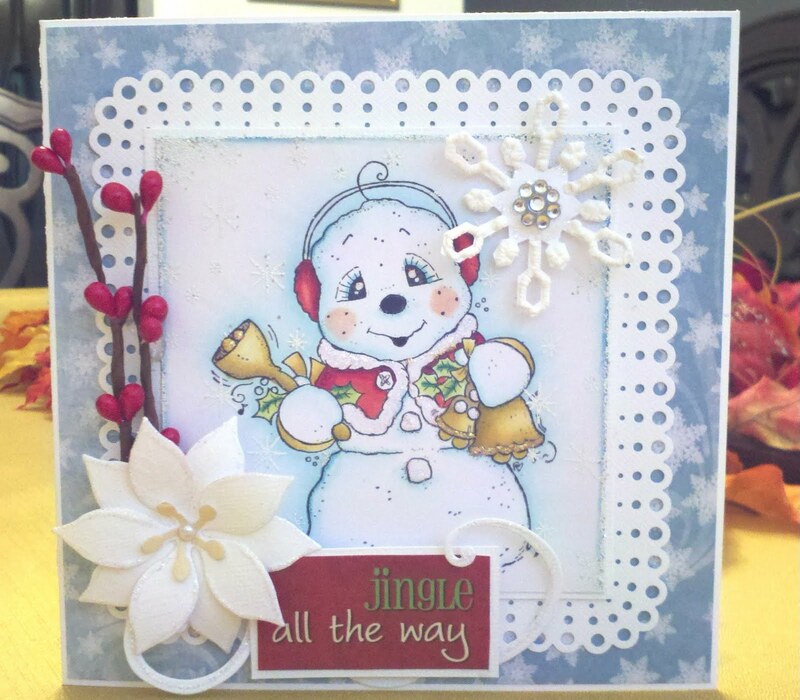 Love the border and the berry branch embellie. Adds so much to this darling card. The white poinsettia is gorgeous. Oh wow this card is gorgeous. I love the frame around the stamp. Love this little snowman!!!!! Wow absolutely gorgeous Julie!!!!! Your coloring is fabulous!!!!! Way to go!!!!! I love Snoowie! He is just too cute! You did a fabulous job coloring him. Very cute card. Another beautiful card Julie!!! Just gorgeous! 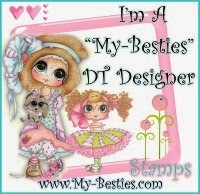 Wonderful Julie - love the colors - this card put a big smile on my face!